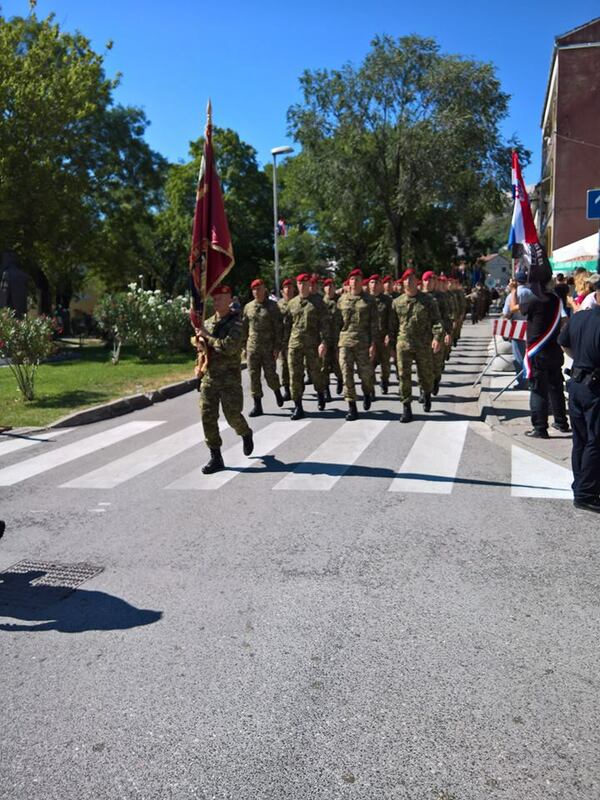 Liberation from Serb cruel, ethnically cleansing of Croats, murderous, destructive occupation of a quite large part of Croatian sovereign territory turned 21 on Friday 5 August 2016. The August 1995 Operation Storm delivered victory for a free development of democracy and a sure or lasting exit from communist Yugoslavia. So, who would spoil Croatia’s freedom 21st birthday party? The aggressor of course – Serbia! Of course Serbia isn’t going to say: Happy Birthday, Croatia! Happy 21st anniversary of freedom from our murderous hordes that attacked Croatia and Croatians – of course Serbia isn’t going to say it. A decent person would, but not the one who denies his/her wrongdoing and aggression. So I really get annoyed with the media that keep giving Serbia’s leadership the space where it can continue its vile attacks, albeit verbal this time, against Croatia – still. 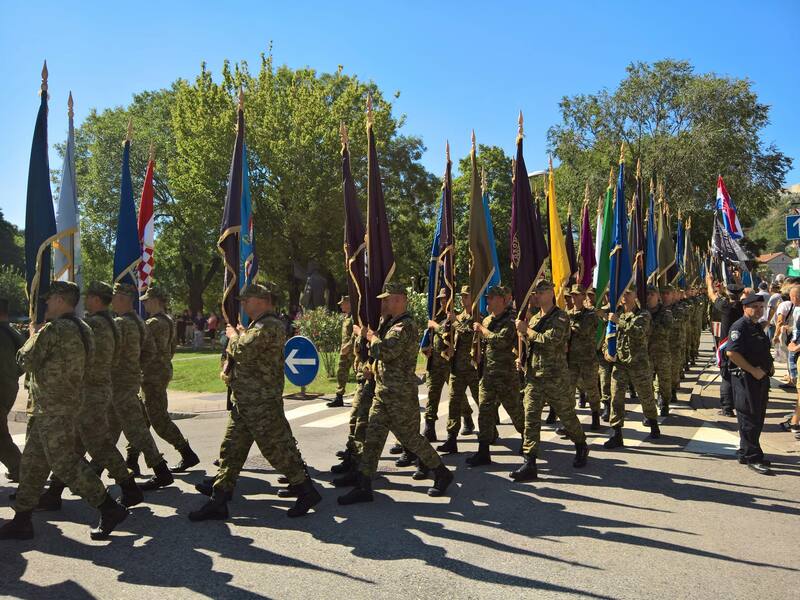 On Friday (5 August) a ceremony in Knin, proudly commemorated the 21st anniversary of Operation Storm, when in August 1995 the Croatian army took back around one third of the country’s territory, held by Serbs since the start of the war in 1991. About 200,000 Serbs fled the region, which had been “ethnically cleansed” of Croats four years before via murder, destruction and forced expulsion of people from home. Although Serbs continue to tell the world these 200,000 were forcefully expelled from that region after Operation Storm the Hague international criminal tribunal had found that there were no forced deportations of Serbs from Croatia then. Understandably, if Serbs told the truth that they left Croatia in an organised manner, being asked to leave Croatia by their political leadership in Serbia and make it look like they were forced to leave, they would need to pause and examine their own deeds that preceded August 1995 – sheer war crimes for which a number of their leaders have been convicted by the Hague tribunal. 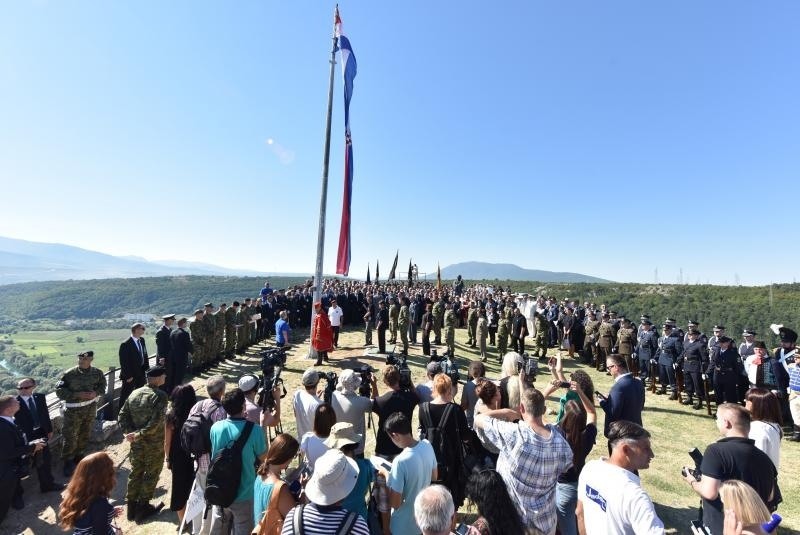 A giant Croatian flag was raised on Knin fortress in the presence of the military chiefs, acting Prime Minister Tihomir Oreskovic and president Kolinda Grabar-Kitarovic. This was a symbolic gesture representing liberation and victory. Nobody in the world except Serbs (the occupier/aggressor) would deny Croatia this victory celebration. “…Right at the beginning, I want to send a clear message to those who claim that the Croatian State is accidental, and have even gone a step further by claiming that the modern Croatian State was created by criminal UDBA structures: modern Croatia was created by the will of the Croatian people and the vast majority of Croatian citizens, expressed in the referendum of 1991 and in the magnificent victory of Croatian defenders, the culmination of which was the military and police Operation Storm that we proudly celebrate here in Knin. Thank you to those who gave their lives for our freedom and a future of peace! We owe our lasting gratitude to them and to all the Homeland War veterans,” the president said, alluding to the repulsive and repeated allegations by the Social Democrats’ leader, Zoran Milanovic (who is once again going fort Prime Ministership at coming elections) that Croatia came to be accidentally and that former operatives and chiefs of the notorious/murderous Yugoslav secret service (UDBA) were at the helm for creating independent and democratic Croatia. Milanovic is a nasty piece of work and I am pleased the president found it important to shoot criticism and reprimand against him even if some have said that this turned her speech into a political speech, favouring the HDZ/conservative candidates for coming elections. I tend to differ from them because Milanovic’s comments had affected negatively every Croatian who fought for freedom and every victim who gave his/her life for the freedom fight of Homeland War. “…Before all else, we celebrate this anniversary as our day of freedom and peace. We had to fight for our freedom and peace in war, by defending and liberating the country from the joint criminal enterprise of the unitarian Yugoslav and Chetnik forces, who had perpetrated horrible evils throughout Croatia and Bosnia and Herzegovina already in the Second World War,” president Grabar-Kitarovic continued. Operation Storm had also great international significance as it enabled the liberation of the Bihac enclave and prevented the repetition of the genocide committed by the forces of the Army of the Serbian Republic in Srebrenica. This accelerated the end of the war in Bosnia and Herzegovina and the consolidation of the political situation in this part of Europe and opened up the perspective of Euro-Atlantic integration for all countries. Congratulations to Croatia for the gold medal at the Olympics. It’s time for the Serbs to Man Up and admit their aggression of ther past and make genuine apologies.A new generation growing up doesn’t want to do so full of hate for it’s neighbours. Happy birthday. Children born after independence will be graduating around now, and taking their part as adults in society. As fewer people have memories of Communism, this is the growth of true freedom. So true, Clare and the more the truth and positives are helped along the better … such history will always bring up pain but the future can be that what those who gave their lives for fought for – free and prosperous. It is refreshing to hear the Croatian President actually try to represent herself as a patriot, after a series of jaw-dropping gaffs and public misstatements that have marked her first year and a half in power. It is admirable that on this momentous occasion she recognized the branitelji and all Croatian citizens as our heroes; without whose efforts we would not have a country called Croatia. It is encouraging to hear her remark..
. “We had to fight for our freedom and peace in war, by defending and liberating the country from the joint criminal enterprise of the unitarian Yugoslav and Chetnik forces, who had perpetrated horrible evils throughout Croatia and Bosnia and Herzegovina already in the Second World War” Does this mean she finally recognizes than when speaking about Antifascists in our corner of the world we are exclusively talking about Yugoslavs, Chetniks, Partisans etc.? and that when she praises her antifascist roots, she is in effect praising those very forces who did perpetrate horrible evils throughout Croatia and BiH both during WWII and during our Homeland War? We will wait and see if she has accepted that as historical fact. And finally, is it just me or is she pandering yet again to the Serb element in Croatia? On Dan Oslobodjenje, the day we celebrate the reunification of our country through a flawless military operation – we have nothing to apologize for, nothing to justify, to ANYONE – and the words of Tudjman that he delivered in a speech a full two years after Oluja, I feel, are totally inappropriate. “Even though the greater Serbian aggression caused much suffering, death and destruction, the Croatian state policy did not order, undertake or approve any retaliatory action, but expressed readiness for reconciliation and forgiveness. In his speech in Vukovar, on the 8th of June 1997, President Tudjman summed it up: ‘victors who do not know how to forgive, sow the seeds of new discords and future evils. And the Croatian people do not want this.’…” Well, twenty years later, how has Tudjman’s policy of amnesty and reconciliation been working for us? Are we now on the road to lasting peace or is there a deja vu atmosphere in Croatia today? Past enemies, we find have never accepted our hand in peace and are once again ramping up the vile rhetoric and beating their war drums….. Will we ever learn? About time she and the rest of the government started to hit back and defend Croatia (still not vigorously enough – I would have taken Serbia to Human Rights Court for their incitement of hatred, lies and falsification and denial Croatian human rights) on the slanderous and false statements coming from Serbia – better late than never. Also, we should be using proper language and terminology to communicate ideas and messages for accurately. For example, victim is usually used to refer to people who have been injured, or killed as a result of aggression. A casualty is a person injured or killed as a result of war, or an event or situation. Aggressors, like the Serbs who took Croatian territory and originally expelled and killed people to ethnically cleanse the area for their territorial expansion, inflicted death and injury on people who are victims. The aggressor’s people who were killed and injured during and when enforcing aggression are usually referred to as casualties. Serbs can be victims in this situation, but they are victims of a failed policy and manipulation of their leadership. While every loss of life is sad and indeed unnecessary and tragic, Operation Storm was a defensive action to right a wrong; a legitimate reaction to aggression which Croatia suffered many more victims throughout the war. Operation Storm, except for Serbs, was the most clean and effective military action with minimal casualties – it is studied as a brilliant military strategy and one that was executed with the highest regard for the rules of war, protection of civilians and lowest casualties of any similar military operation. Not recognizing and acknowledging this is simply a position of dishonesty and distortion. Compare the the re-taking of Knin to what the Serbs did in Vukovar, and other areas of Croatia that were decimated by Serbs who had no regard for ethics, or morality and caused tremendous victims. Why aren’t Serbs mourning all those it killed, expelled and whose lives they devastated? Again, no regard to victims of Serb aggression by Serbia; it fits their narrative though that regardless the fact that 85% of crimes and devastation were committed by Serbs, guilt must be equalized therefore they are not aggressors – baloney which only the naive and gullible believe; or have ulterior motives. Serb hypocrisy and dishonesty is dangerous and destabilizing. If we don’t stop it the region is at risk of continued conflict and war. The president of Croatia has written to me. She tells me that I am the man of her dreams, and that if I marry her, I will become the King of Croatia and she will give me 10 million pounds. I can’t decide what to do for the best. Absolutely not Ina! In fact, she’s here now, begging me to marry her and to take her to Whitechapel as my bride…GET BACK CROATIAN PRESIDENT! GET BACK I SAY!!! This is such a significant speech Ina.. She comes across as a strong woman.. I also hope TM our new PM will also be a strong leader.. She is certainly starting as she means to go on.. This is indeed the age of the feminine energies to return.. This situation in Croatia is so infuriating. Two former presidents go to Serbia to do interviews with Serbian media and essentially say that Croatia was the aggressor and that Serbs were the victims. Disgraceful and deceitful. Please help me understand…the way I see it there are no victims on the aggressor side except those that were duped by their leaders; they were casualties.For example, if I punch you in the face you are my victim. If you hit me back am I a victim? Will you mourn for me in the same way for my injuries? You can certainly feel bad about the situation but to equalize our status is wrong and irresponsible. Congratulations on your World Cup match win! But more importantly the Croatian win of freedom and liberty from an oppressive Serbia! Happy 21st anniversary!